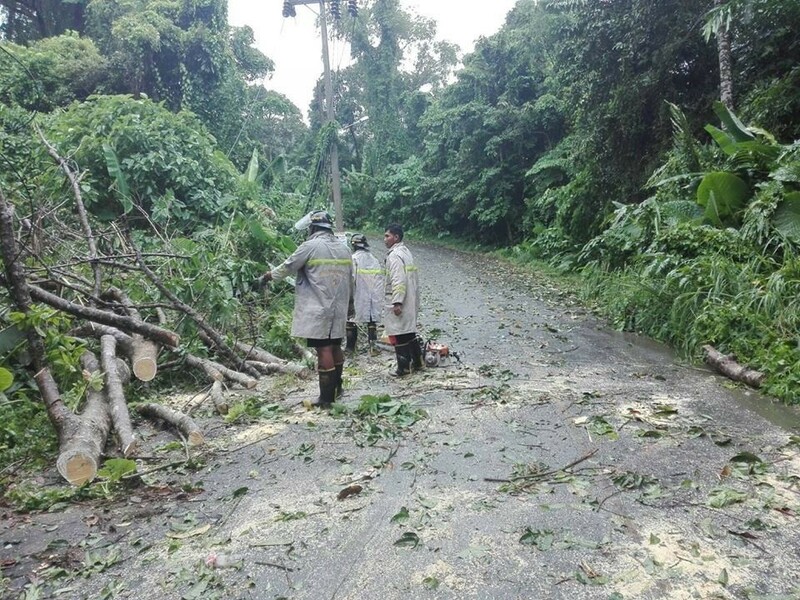 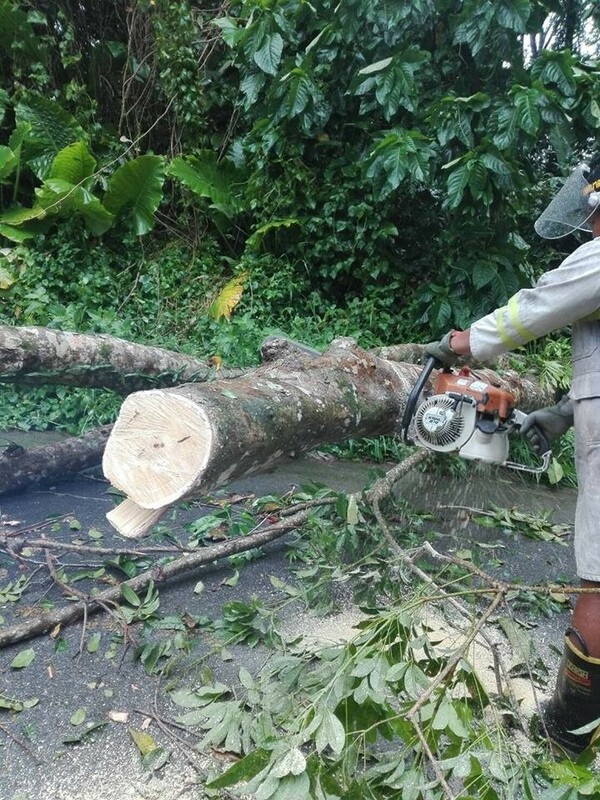 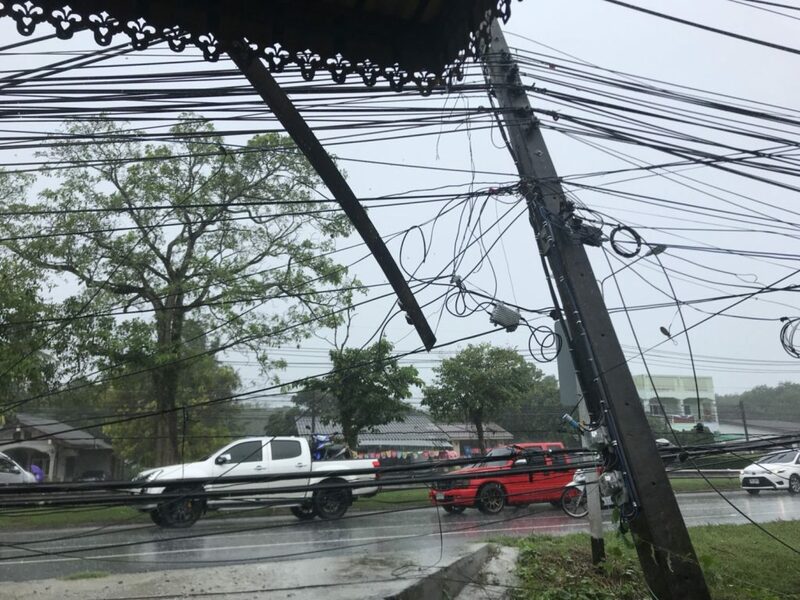 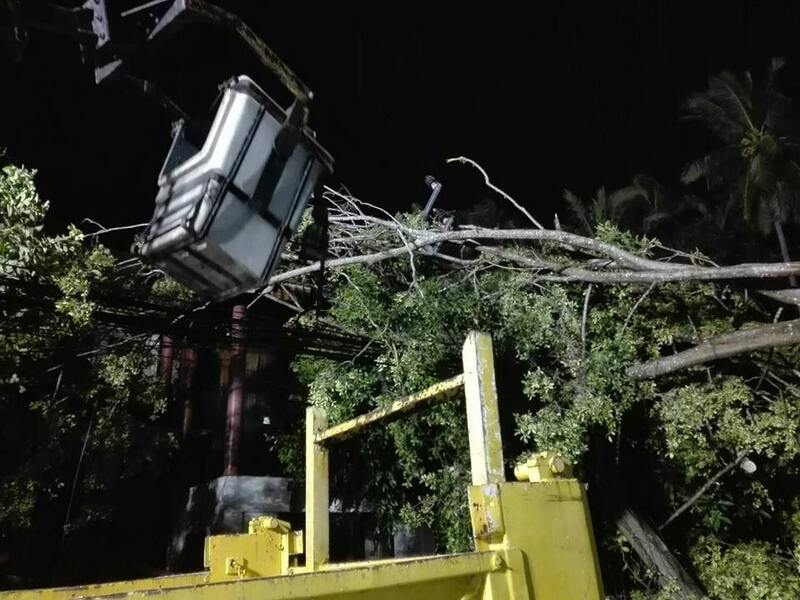 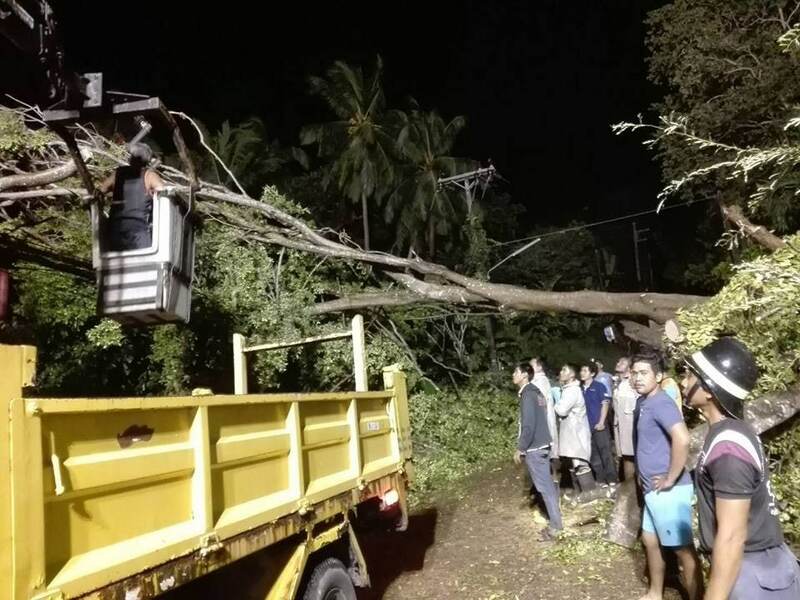 There have been about 90 houses across Phuket that have been damaged from storms whilst eight power cables have been brought down in Thalang today (June 18). 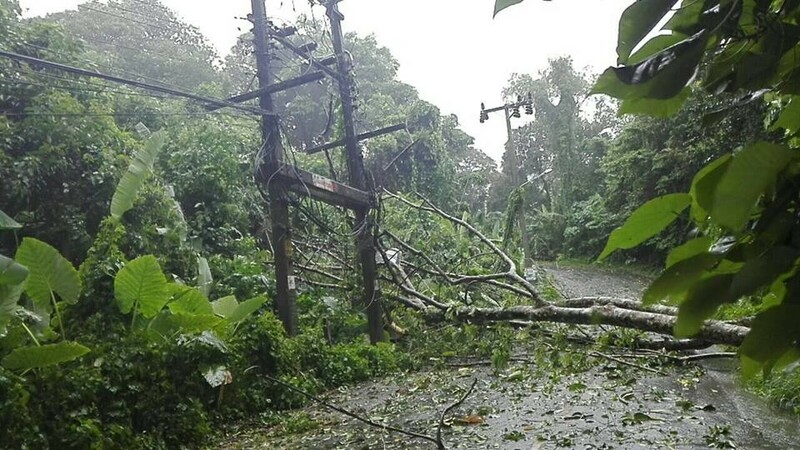 This is the latest in our coverage of the unusually wet and windy storms to hit the island. 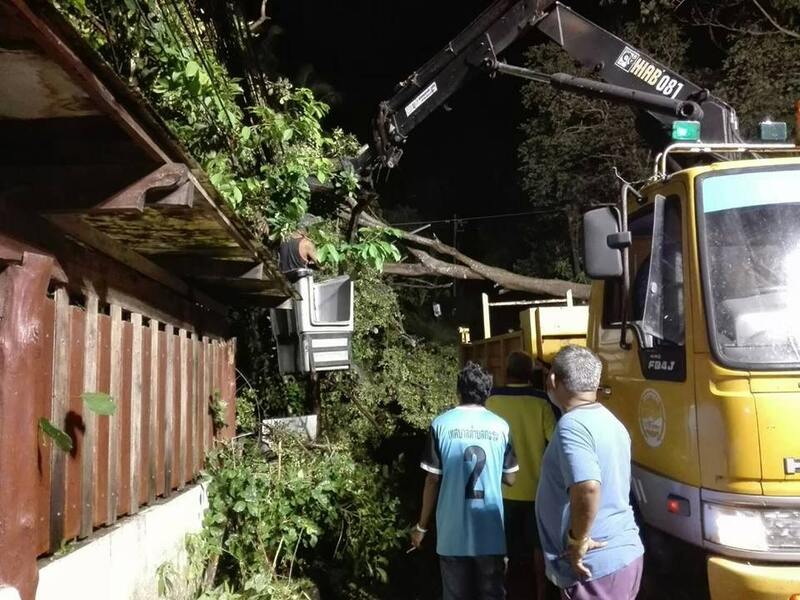 Officials have surveyed all the districts and found that there are about 90 houses which have been damaged from the storms in Muang Phuket, Kathu and Thalang. 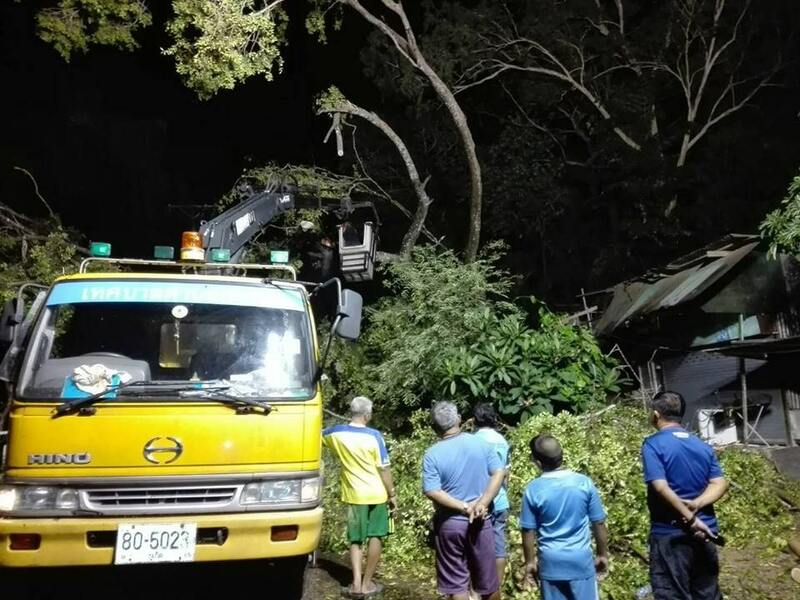 The total value of the damage has already been estimated at nearly 300,000 baht. 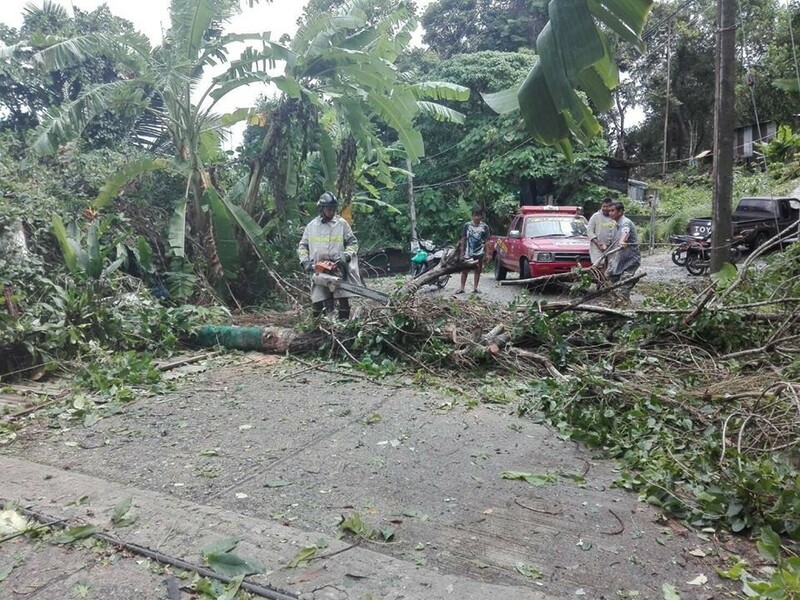 Most of the damage is to roofs, motorbikes and some cars. 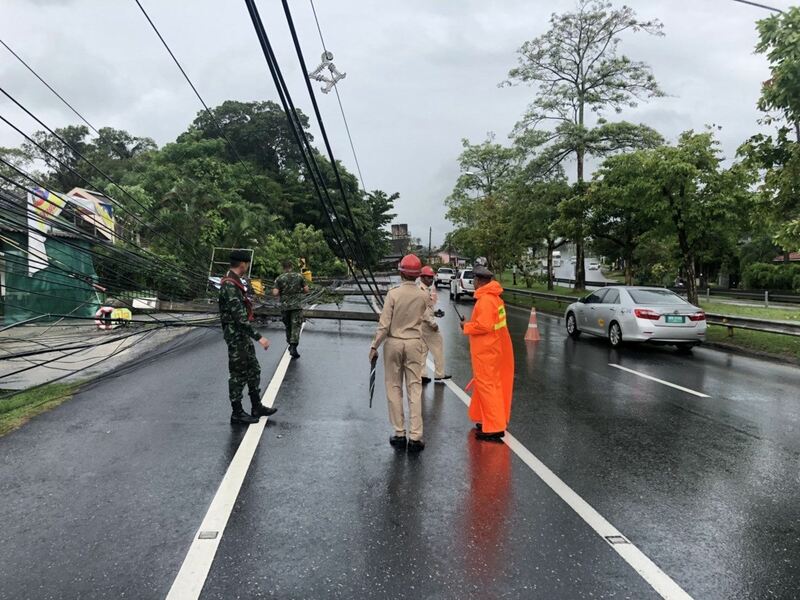 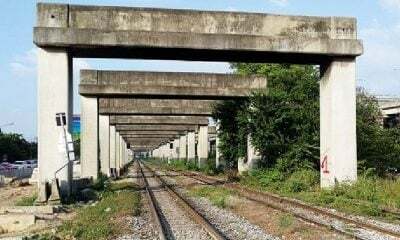 Tha Chatchai Police received reports at about noon today that eight power poles had been brought down and blocked Thepkrasattri Road near Hongyong Bamrung School in Thalang. 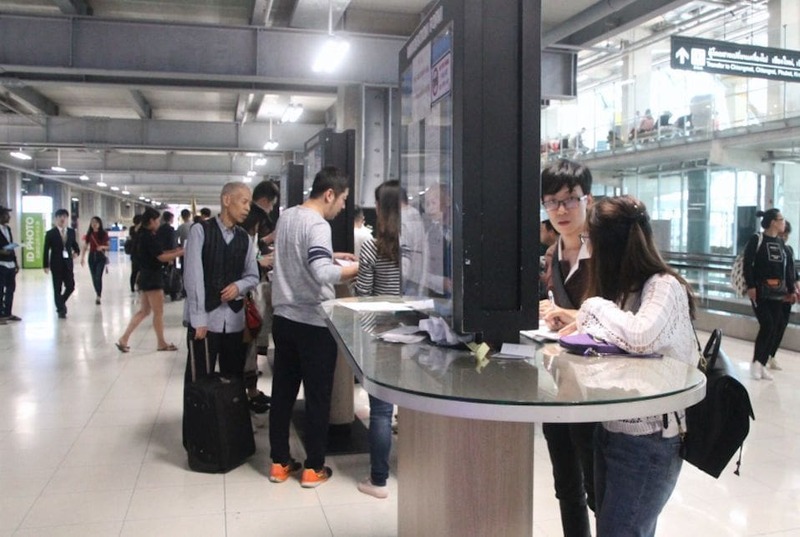 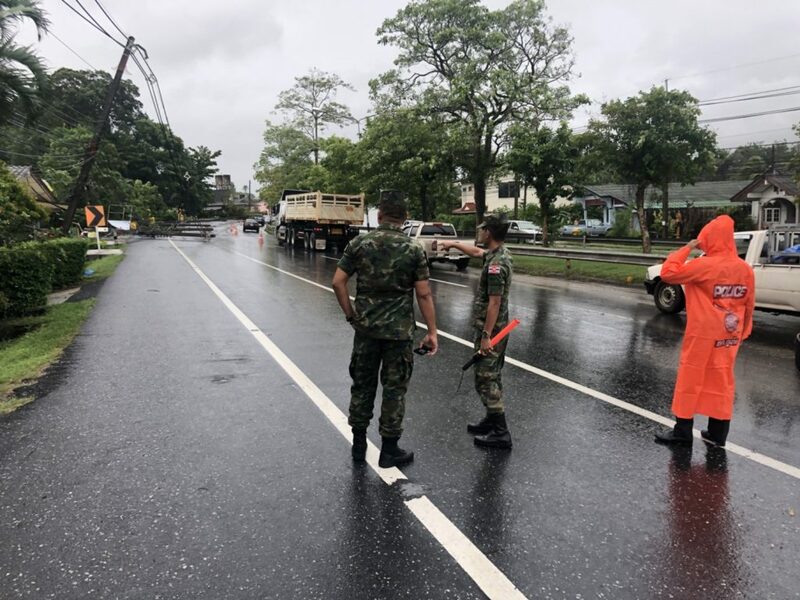 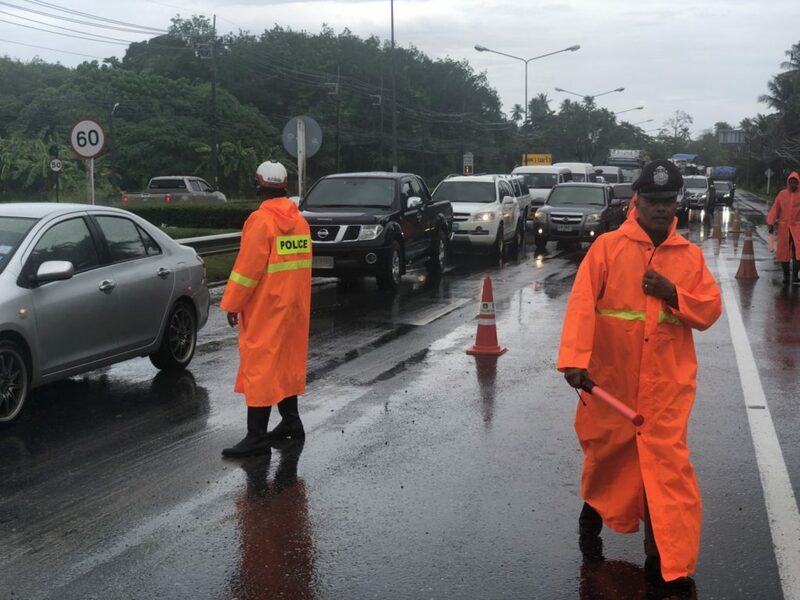 Following the heavy rains and high winds, Phuket’s Governor, Norrapat Plodthong, continued to expressing concerns yesterday about the possibility of more flash flooding and damage from the wind.